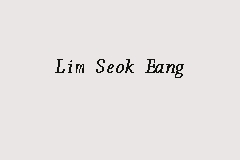 Lim Seok Eang is a FPAM associate member in FA Advisory Sdn. Bhd, Penang approved by Bank Negara Malaysia. The Investment Adviser can be contacted via FA Advisory Sdn. Bhd at phone line 03-62114011. Very down to earth and nice person. Trustworthy and dependable. She is not the hard sale type. January 26, 2019 by Santhi V.
She's very ethical, professional and caring. Reasonably fair advises given with practical solutions. Highly recommended.